As the biggest city in Bavaria, it's fair to say that Munich conjures up pretty strong images of beer, beer and maybe some more beer? However there is so much more to the city than that! I was lucky enough to visit quite a few times while I was on my year abroad, so I thought that I would share some of my favourite things to do in the city in case any of you were thinking of going one day or were looking for some travel inspiration. I mean, if the beer itself isn't enough to convince you to visit the city then maybe something on this list will tickle your fancy! Let's start off with perhaps the most central and one of my favourite points on the list - Marienplatz. 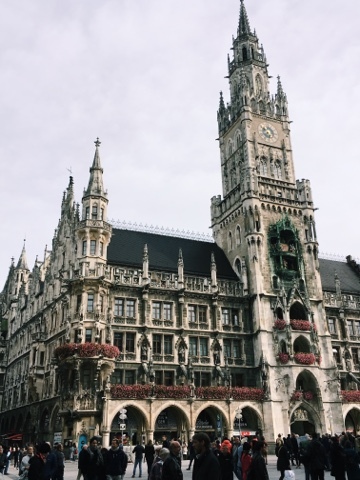 One of the most iconic images of Munich is the home of the city hall which is a beautiful and striking building, and, like all good important beautiful buildings in big cities, has little musical statues that spin around and put on a little performance at midday daily. It actually states on it's website that it is the fifth biggest in Europe, I guess they must be pretty proud of that. The view from the top of the town hall is absolutely stunning and you can see right across the city so it is definitely worth going up on a clear day. As one of the main central squares in Munich, it's a great place to start if you are looking to explore the city. Many shops and restaurants lead off from Marienplatz and it is always has a buzzing atmosphere. 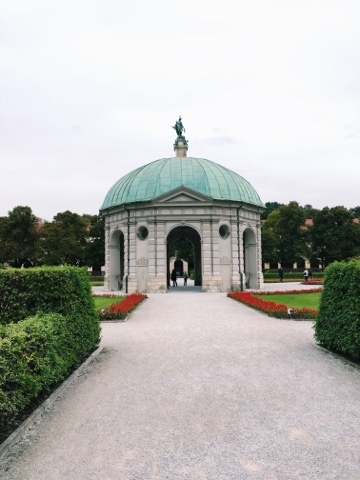 Just along from Marienplatz is the lovely Hofgarten. Despite not being the most intricate or extravagant of gardens, they do have a lovely little pavilion and both times I have been there I've been lucky enough to be treated to an amazing little concert from a busker. I think if I remember correctly it's often a man with a violin, and it was one of those wonderfully surreal moments, just sitting by myself on a little bench listening to the most beautiful music in the middle of the city. With no shortage of beautiful churches in the city, they are almost all worth seeing! However my personal favourite has to be Asamkirche as I think the architecture is just so unique and beautiful! 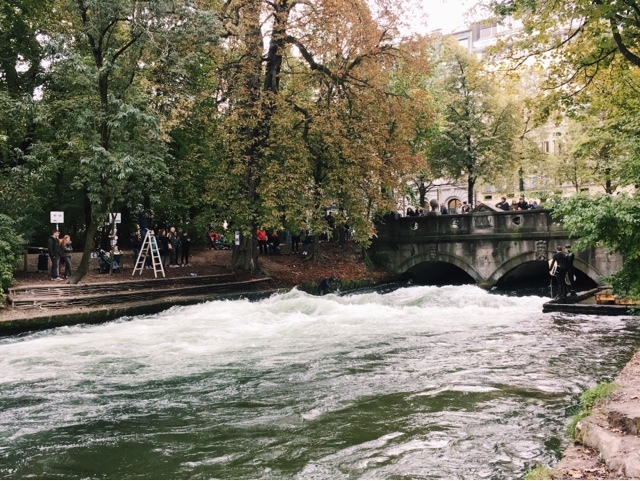 The Englischer Garten is an absolutely ginormous green oasis in the middle of the city, and is actually larger than central park in NY! With all sorts of different sections it really does have something for everyone, with forests and little rives, small huts and pretty flowers. If you are feeling a little more adventurous there are also usually some brave surfers having a go on the mechanical quick flowing section of the water! A bit bizarre to see in a stream in a public park but definitely fun to watch! 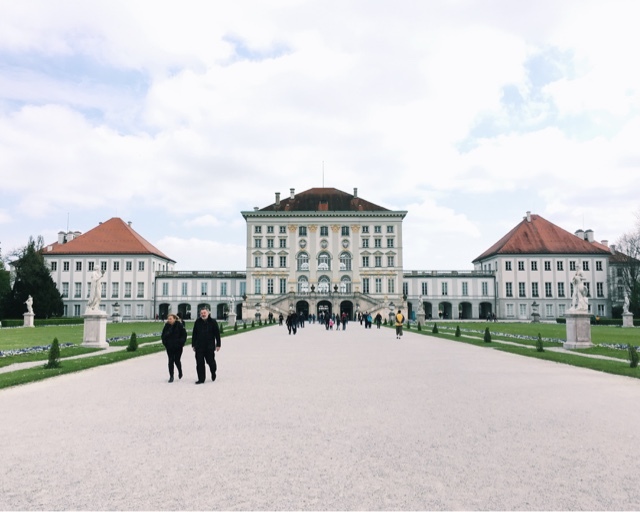 If you have a little more time in the city it is definitely worth getting the tram out to Schloss Nymphenburg, a large baroque palace with extensive gardens. Personally I haven't been inside the palace however have heard that it is really lovely, but I have had a really nice walk around the grounds. There are even gondolas for hire throughout the Summer months if you are looking to do something a little more unique whilst you are there! 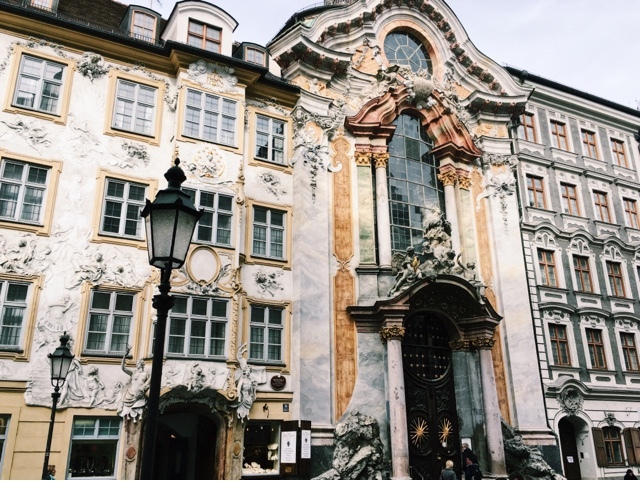 Whilst you are in Munich, there are plenty of incredible options for finding a bite to eat, however my two favourites are almost tourist attractions in themselves. The Viktualienmarkt is situated just along from Marienplatz, and is a large outdoor market with a great variety of foods to sample and buy. It had both local and exotic produce and is really interesting to wander round, even if you are not looking for food! No guide to Munich would be complete without mentioning a brewery, and Augustiner is one of the best, with amazing food to match its yummy beer. The Augustiner Bierhalle is also just along from Marienplatz and has plenty of seating upstairs and downstairs if you are looking to try some authentic dishes. I would personally recommend the Leberkaese, which no, has nothing to do with liver or cheese, but is actually some sort of large squared sausage goodness. Normally it's served with fried eggs and mustard and is delish! The list could easily go on and on! I never did make it out to the Olympic stadium, so that is still on my list for next time! As is visiting some of the many museums in the city! Have you ever been to Munich? What are some of your favourite things to do? Let me know in the comments! Munich sounds like a cool city ! Thank you for sharing ! You're right, beer tends to spring to mind when you think of Munich! 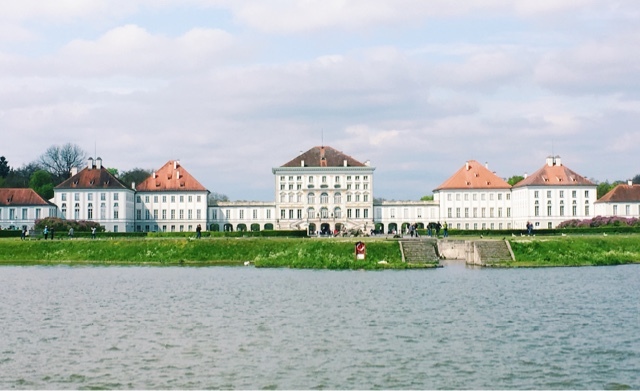 You've listed some really lovely things to do in the city, especially Schloss Nymphenburg - baroque palace with extensive gardens? Yes please! !